This wrinkle-resistant cotton-blend sport shirt looks so good you'll want to wear it more often than just on Aggies game days. 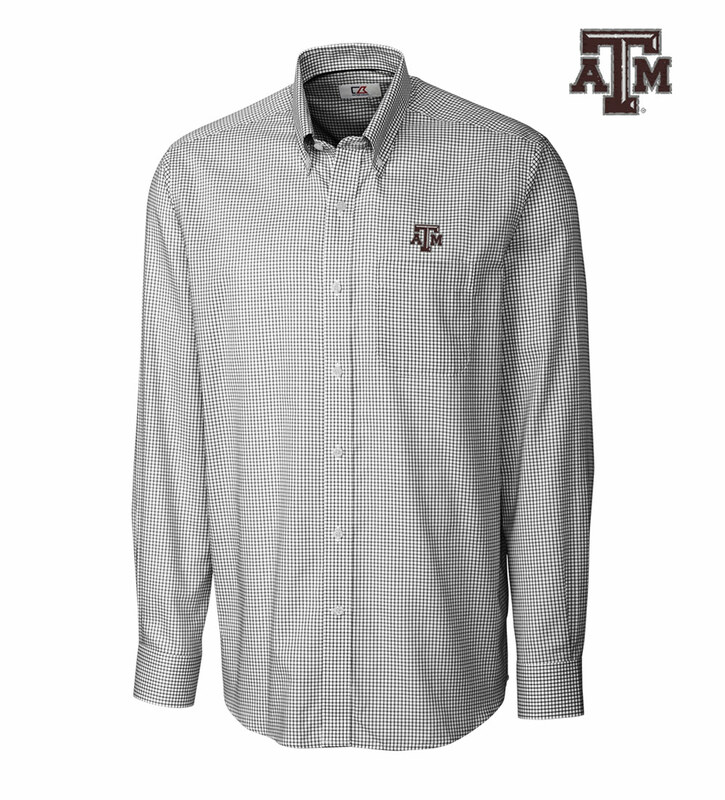 Features an officially licensed embroidered Texas A&M University logo just above the left chest pocket. It's a timeless Cutter & Buck sport shirt with a button-down collar, long sleeves with barrel cuffs, back box pleat and C&B pennant at left cuff. 60% cotton, 40% polyester. Machine wash. Imported.